Blackberry just made the nice qwerty keyboard available at a much lesser price tag. The Blackberry Key2 was a more expensive model so a cheaper version was made while striping down some features off it. Leaving us with the Blackberry Key2 LE. 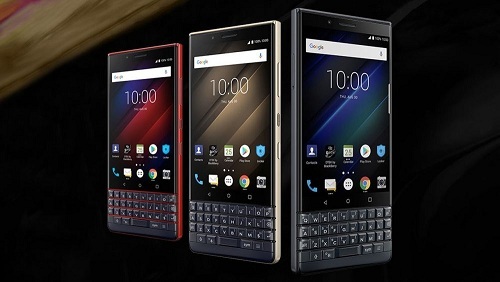 Outwardly, the two smartphones look like one another, with the Blackberry Key2 being the better looking one. The smartphone is certainly not for everyone as the qwerty keyboard might not be for some. As much as the Blackberry Key2 and Key2 LE look alike, the latter has some key difference. First, the smartphone has a more comes with a more cramped up qwerty keyboard and the capacitive functionality removed from the keypad. The space bar on the keyboard still serve as the fingerprint reader and capacitive buttons are still on the screen. At the back, there is a rubber covering and a polycarbonate frame which makes it much lighter than the Key2 which has a matallic frame. The screen on the smartphone is a bit lesser than what you might be used to on other touchscreen smartphones. Not the ideal choice for movies or gaming, the smartphone is good eniugh for social media and surfing through the web. The 4.5-inch screen is radiant with a resolution of 1080 X 1620 pixels on it. For this particular smartphone, you have just enough to get you through the day. By enough I’m talking about a 3, 000mAh battery which according to the maker will give you 22 hours of standard usage. Besides, there is Quick Charge 3.0 on it to top up your battery faster. Taking pictures on the Blackberry Key2 LE is good in well lit areas like outdoors during the day. However, when it’s getting dark, the pictures start to look not too good. The two cameras at the back are placed side by side, one 13MP main sensor and another 5MP camera. On the front porch, the smartphone adopts an 8MP camera for your selfies. The smartphone will cost you around 145, 000 Naira for the 32GB variant and for the 64GB you would have to pay about 163, 000 Naira. It will not go on sale until the end of September or there about.